In part one, we talked about how cowriting helps a songwriter grow, and why every songwriter should give it a try. But how does any songwriter meet another songwriter and just like, decide to write together? 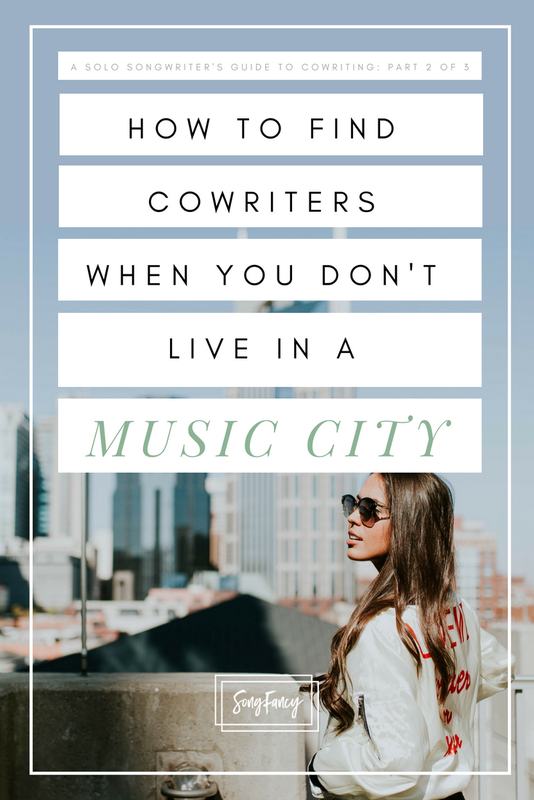 And how can you meet a potential cowriter, especially if you live in a small town? 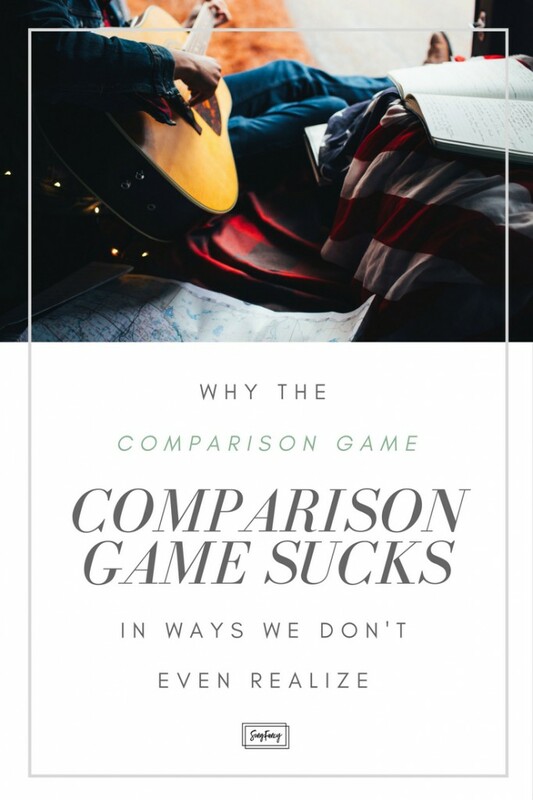 This is the number one question that comes up all the time in the SongFancy community with regards to cowriting. SongFancy songwriters are all over the world, in small towns, big cities, and everywhere in between. Many of you don’t exactly live in places where music is a huge part of the culture or economy, like Nashville, LA, or New York. 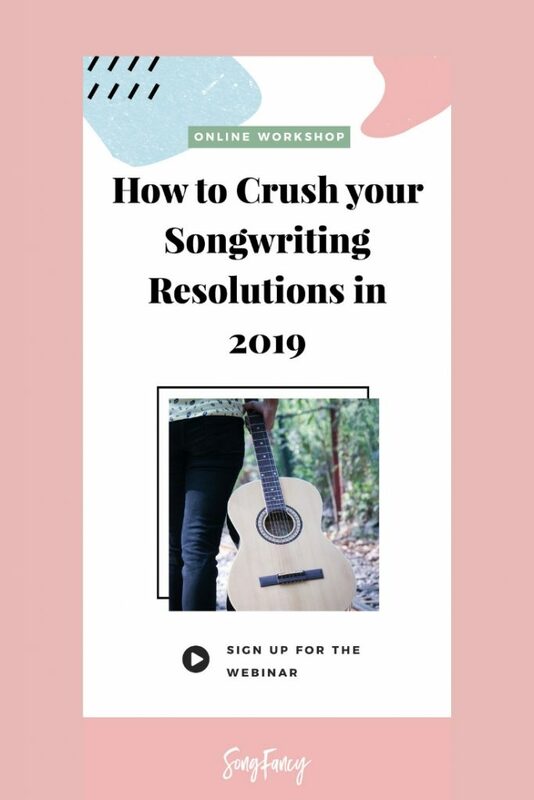 If you feel like your music scene may be small or limited, there are still ways you can meet other like minded songwriters and start to cowrite. Open mics will draw the musicians out of any community. It’s the universal bat signal for people who are looking to connect with others by sharing their original music. Most places have some kind of organization that does an open mic night – VFW’s, churches, charitable organizations, coffee shops. Show up at an open mic night and make friends! Some cities and towns will have writer’s nights at local establishments. This is your usually one night a week show for local talent – acoustic, origainl material. Drop by and see who’s playing. Places that can potentially have writer’s nights are venues, theaters, clubs, bars, restaurants, coffee shops, etc. If your town or adjacent town has a club, go see some shows there. And I don’t mean a dance club with a DJ, I mean a listening room type club, where local bands play and regional (or national) acts come through when they’re on tour. Sometimes the early shows feature singer/songwriters. See a show and say hi to the artist after their set. Let them know you loved their sound (but only if you did!) and would love to cowrite sometime. At the very least, talk to the staff at the club – they may be songwriters themselves. If you’re a college student, chances are you have access to an amazing amount of musical resources. Check out your student union and see what music related events they have planned. Your college may even have a songwriting club or music industry club like MEISA. I was a MEISA member in school and I met some of my favoritest musician friends there that I’m still friends with today! Your college may also have weekly market days with booths and an acoustic live show. Check it out and see if anyone you meet would like to cowrite. If you’re not a college student but you live in or near a college town, start listening to the college radio station. Usually, touring acts that are coming through town will do interviews on air and play some of their original music. They can be all kinds of different artists and bands from all sorts of genres. If you like what you hear, go to their show or find them online and reach out, saying you’re a local songwriter looking to cowrite. Small towns with a Main Street usually have local fairs and festivals throughout the year, if not at least in the summertime. Go to your local or regional festivals and check out the acts that are playing! SO many coffee shops have acoustic music at least one night a week. 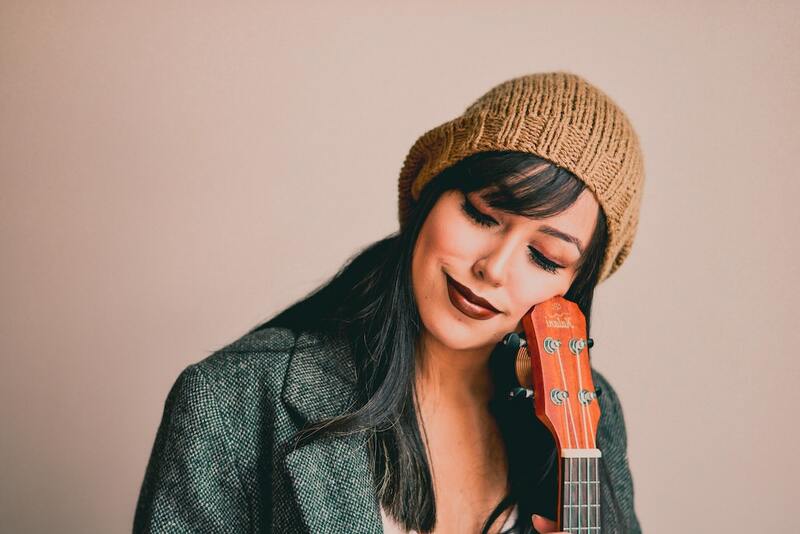 Check out your local coffee shop and see if they have a night of live music – chances are, even if the band is playing covers, they might love to write some original material with you. Typically, if a town has an arts council, they’ll post their calendar of events on their website. You can see what events are happening in town, or if songwriting meet-ups are are occurring and where to join. Local farmers markets are great places to catch some live music! They usually host acoustic acts and those acts are usually songwriters. Stop by your local farmers market this weekend and see if you can find a new cowriter there. Have other creative friends that are writers of a different sort? Ask them if they’d even be interested in writing a song with you! They may be thrilled to try, if they haven’t already. And the best part? You guys are already friends! Music Biz Besties, for my lady songwriters who are career-oriented. I’ve met so many cowriters through here and I just cannot say enough good things about this community! Songsalive! is a great community focuses solely on connecting songwriters with one another. 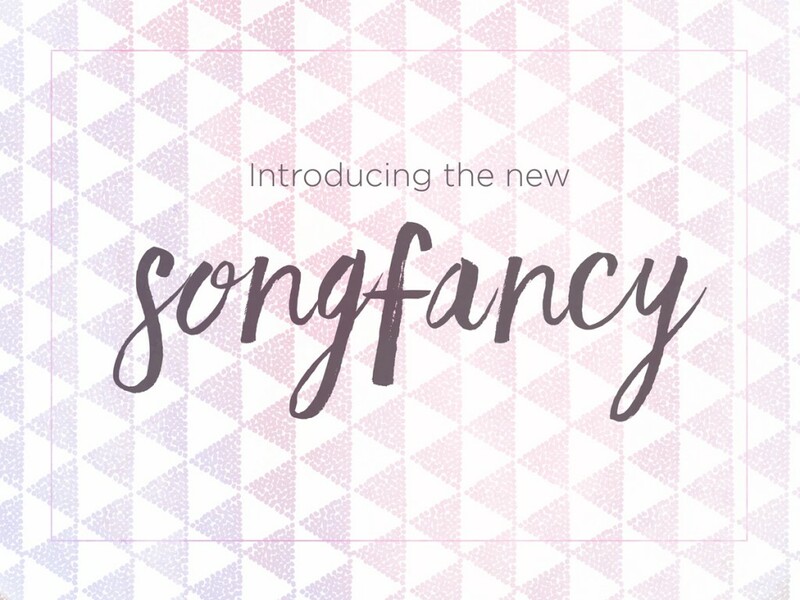 The 5 in 5 Song Challenge is SongFancy’s very own songwriting challenge, and we have a wonderful private Facebook group full of SongFancy writers! So many wonderful cowriting friendships have been made inside out 5/5 group. Sign up here! FAWM, also known as February Album Writing Month, is a grassroots campaign to get songwriters finishing enough material for a full album in the month of February. Their Facebook group is wonderfully active and full of awesome FAWMers who enjoy collaboration. There are many paid membership communities for songwriters that are based in music capitols, and offer an abundance of online resources for out of towners. Check out NSAI, Songtown, and Global Songwriters Connection to see if any of them sound like a good fit for you. You can connect with other members and ask for cowrites! Chances are, if your community has a record shop or music store, your community also has a bunch of music lovers that have at the very least dabbled in songwriting. The next time you’re thumbing through the vinyls or picking up a set of strings, ask an employee if he or she knows of any songwriting communities or meetups in town. Maybe they even host an open mic night! You found your writer’s night or networking event – so now what? Sometimes it feels a little strange to reach out and ask someone for a cowrite. And that’s because it is. But all of us songwriters are a little strange, so at least we understand that about each other! Your title – songwriter? Composer? Lyricist? Country songwriter? Quirky indie storyteller? With regards to email and phone number, I’ll say this – ONLY include the contact info on your business cards that you’re comfortable with everyone knowing. Sometimes you’ll find yourself handing cards to people out of politeness when you’re really thinking, “Oh man, I hope this person never calls me.” You want to be able to toss around your cards like confetti, so include the information you’re ok with. Know where you can cowrite – and only invite people you feel comfortable sharing that space with. Before you start inviting cowriters to write with you, first, be sure you have a physical location to write at that’s safe. Never – I repeat – NEVER go to someone’s house or studio alone if you don’t feel comfortable with them. Being isolated with someone you barely just met can potentially be very dangerous. Make sure you know where you’re writing, whether you’ll be alone or not, and how you’re getting to and from the write. Stay aware of your surroundings and don’t take unnecessary risks. I absolutely love Moo.com for my business cards. Been ordering from them for years and they never disappoint! They have amazing, beautiful, drool-worthy templates already so you don’t have to worry about hiring a designer. Don’t feel obligated to co-write with everyone. You might find that you get a lot of invitations to cowrite! If that happens, congrats! That’s awesome. Writing with as many different cowriters as you can is the best way to find those really really great cowriters you absolutely love writing with. But if someone rubs you the wrong way or just seems like a bad hang, don’t feel obligated to write with them. If you meet any cowriters, keep trying. Word will get out that you’re a songwriter looking for cowriters! If you don’t find a partner to write with the very first time you go out looking, worry not. It happens that way a lot. Keep showing up at open mics, keep posting your songs online and asking to collaborate. Keep reaching out. In part three, we’ll talk about how to navigate your first cowrite (“what do I even say? ?”) and the different ways cowriters collaborate – in person and digitally. Stay tuned!